In front of his academy, situated in Pelourinho, in Salvador, Pastinha received a visit by a painter coming from Angola. 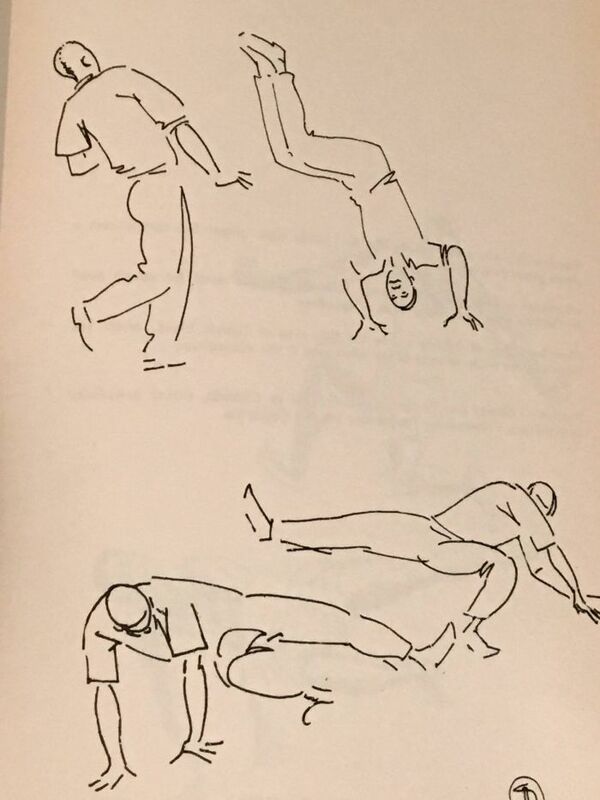 He was called Albano Neves e Sousa [Albano Silvino Gama de Carvalho das Neves e Sousa (1921 - 1995)] and he affirmed he had seen in Africa a dance which was similar to the type of capoeira the bahian master taught. Only there it was called n'golo. Until then, nobody here had heard anybody talk about anything similar. The oral memory didn't register any specific ancestral practise. Many affirmed, and continued to affirm, that capoeira had been invented by slaves in slave huts. Others, that it had been created in the slave dwellings in distant drylands. The scholars had emphasized the urban character of capoeira, because the XIX century sources only documented its practise by african slaves and creoles (negros born in Brazil) in port towns, such as Rio de Janeiro and Salvador. 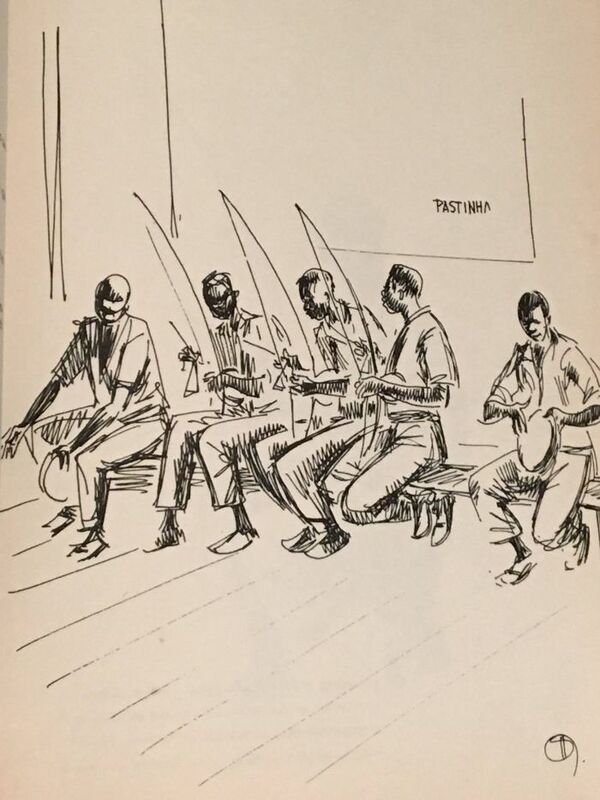 That time, it was a prohibited "play", and the biggest part of enprisoned africans "playing" capoeira in Rio de Janeiro originated from middle-western Africa, from the Congo, Angola and Benguela "nations". 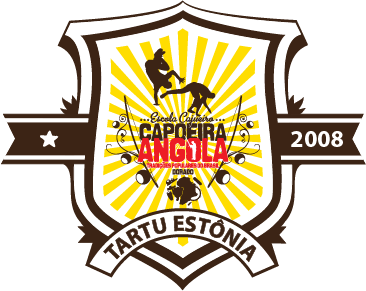 In Salvador, capoeira was also identified as a "play of angolan negros". For this reason, it really makes sense to search capoeira's roots in the region of today's Congo and Angola. The n'golo, explained Neves e Sousa to the old capoeirista, is danced by boys in the territories of the south of Angola, during the girls' puberty ritual. Called mufico, efico or efundula, this ritual marks the girl's passage to the status of a woman, who can court, marry and have children. It's a big party in which there's being consumed a lot of macau, a drink made of a wheet called massambala. The objective of n'golo is to win the adversary kicking his face with a foot. The dance is made to the beat of handclaps, and, same as capoeira roda, one cannot step outside an certain area. N'golo means "zebra" and, in fact, some movements, in particular the kick that is made with a foot, the back turned and with two hands on the ground, look like a zebra's kick. 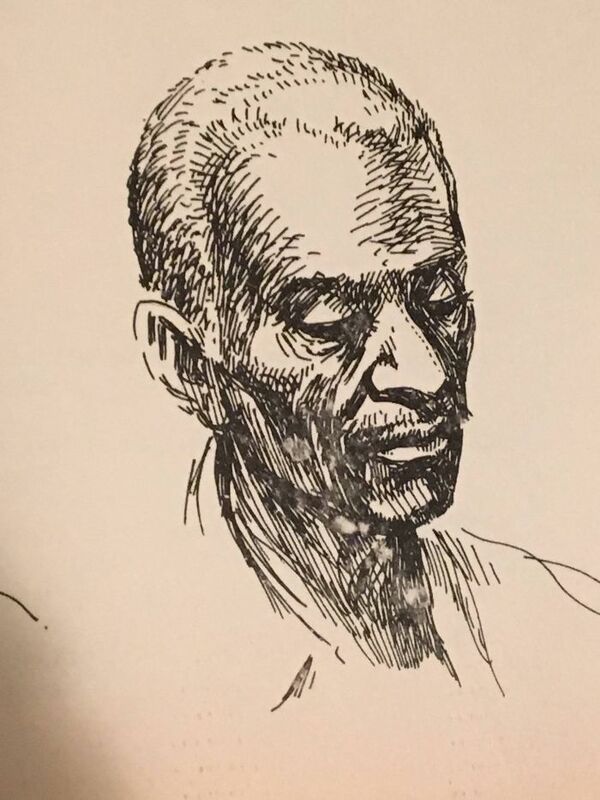 Unfortunately, Mestre Pastinha, by the time Albano Neves e Sousa visited him, was already having his eyesight compromised by a cataract - as a matter of fact, never operated due to lack of resources. This limited a lot any of his plans to spread the recent discovery. He told the story that he had heard to his closest students, but didn't leave any material about the n'golo. 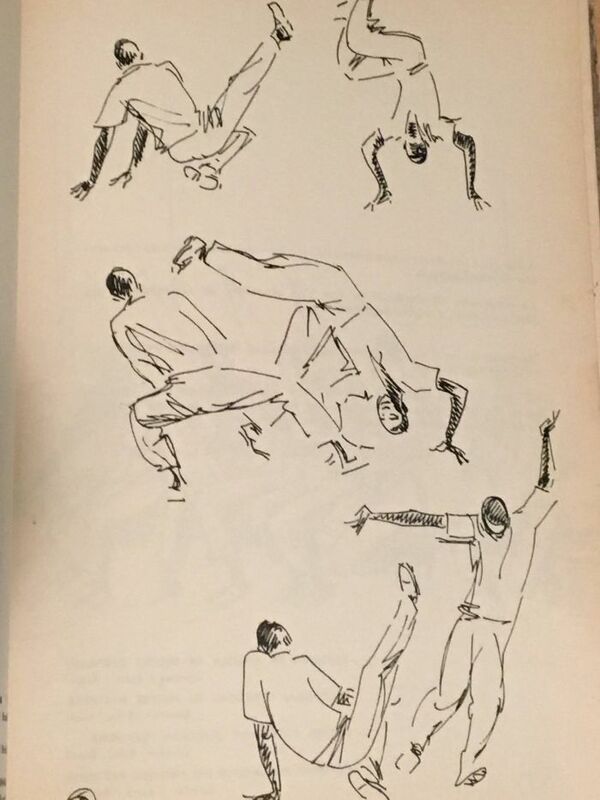 Not his book Capoeira Angola, published first time in 1964, nor his many manuscripts, which were before the time he met the portuguese-angolan painter, mention the "zebra dance". 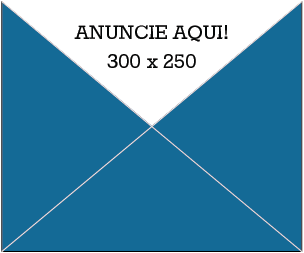 But Albano Neves e Sousa managed to convince other brazilians about his theory, among them the then president of the Society of Brazilian Folklore, Luís Câmara Cascudo (1898 - 1986). 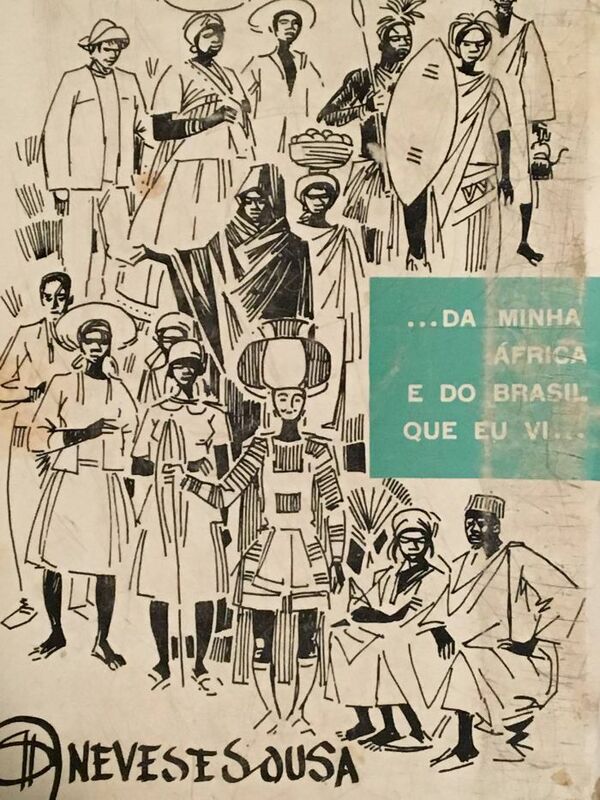 Having returned to Angola, Neves e Sousa organized, in 1966, the exposition "...From my Africa and from Brazil that I saw..." [see some drawings below; a book with the same name was published in 1972] with the material of his travels to the countries of portuguese language on the two sides of the Atlantic, pointing to the similarities between the african cultural expressions and the brazilian negros. 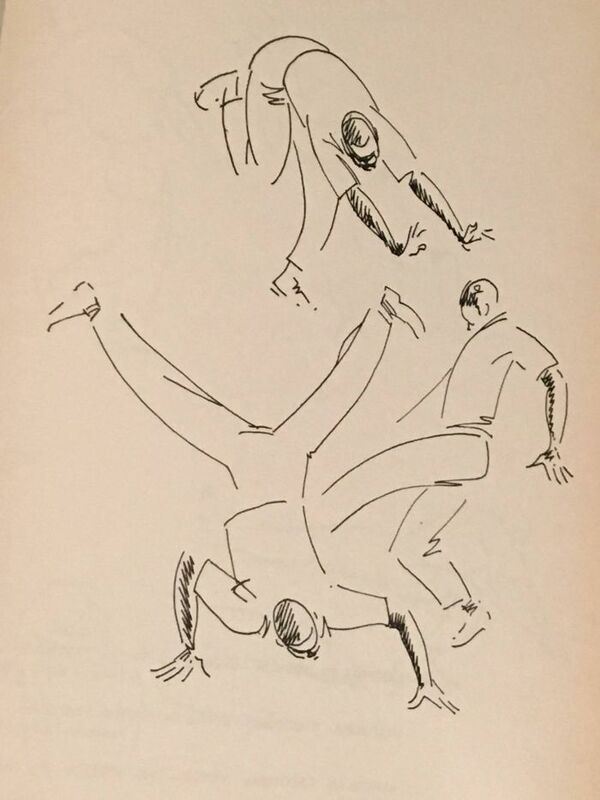 In the preface of the catalogue of the exposition, Câmara Cascudo mentions that the painter "saw the gymnastics of n'golo, baptized 'capoeira'". The reknowned folklorist was the first to spread, in Brazil, the theory of the n'golo as the ancestral fight of capoeira. 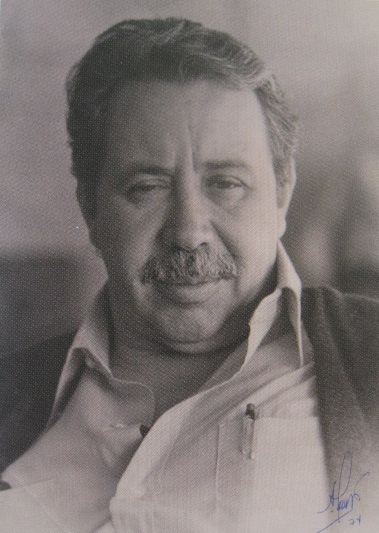 He met Albano Neves e Sousa during a trip to Angola in 1963 when a friendship was born that was cultivated by the correspondence they kept up for many years. NB! M Pastinha comments about the zebra dance in 1967 to the Realidade magazine, doubting a direct commection between that and capoeira. Read more here.